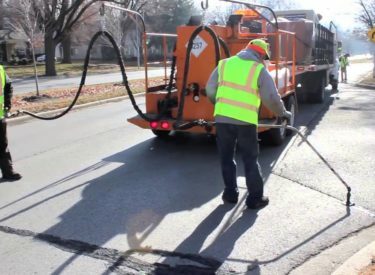 Crews are expected to begin a crack seal project on U.S. 160 in Haskell, Grant and Stanton counties on Wednesday, Oct. 10. Work will begin at U.S. 160/U.S. 83 junction and go west on U.S. 160 in Haskell, Grant and Stanton counties to the K-27 junction in Stanton County. Midwest Coatings Company of Mondale, Iowa is the contractor on this $183,000 project which is expected to be completed by December, weather permitting. For more information on this project, contact Craig Schlott, Area Construction Engineer, at (620) 272-7285 or Lisa Knoll, KDOT District 6 Public Affairs Manager, at (620) 765-7080.